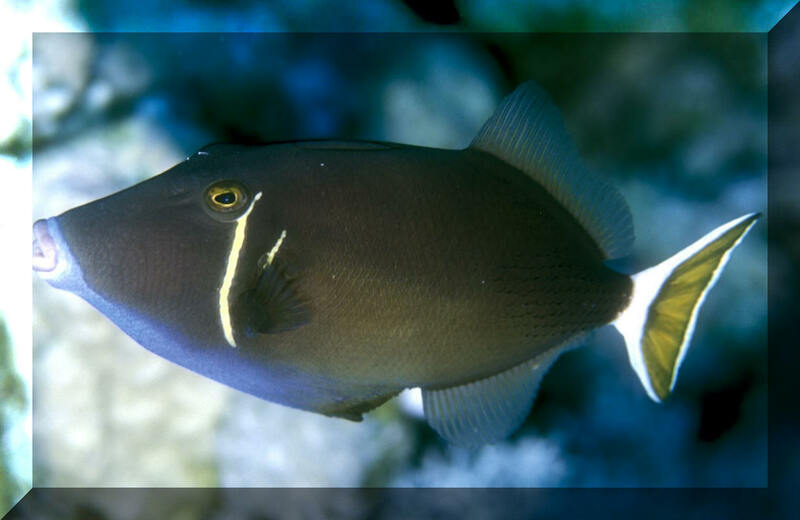 The most popular Rhinecanthus species is immortalized in the song of none other than Don Ho himself. 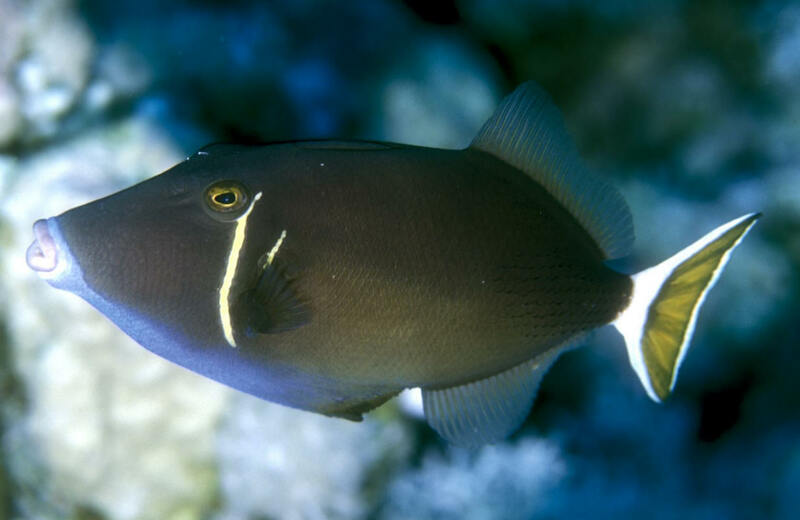 This is the Humuhumu nukunuku apua'a (literally "water pig with a needle" in Hawaiian, in reference to grunting noise they make and their spiny dorsal "trigger"), AKA the Picasso or Lagoon Trigger (aka the "Blackbar" to science), Rhinecanthus aculeatus (Linnaeus 1758). A few inch juv. in the Maldives. Bluethroat or Whitetail Trigger, Sufflamen albicaudatus (Ruppell 1829). Western Indian Ocean, Red Sea, Gulf of Oman. A beauty and peaceful as triggers go. 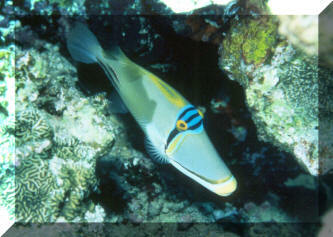 Have even seen this species kept in reef systems. To eight inches in length. Male in the Red Sea pictured. 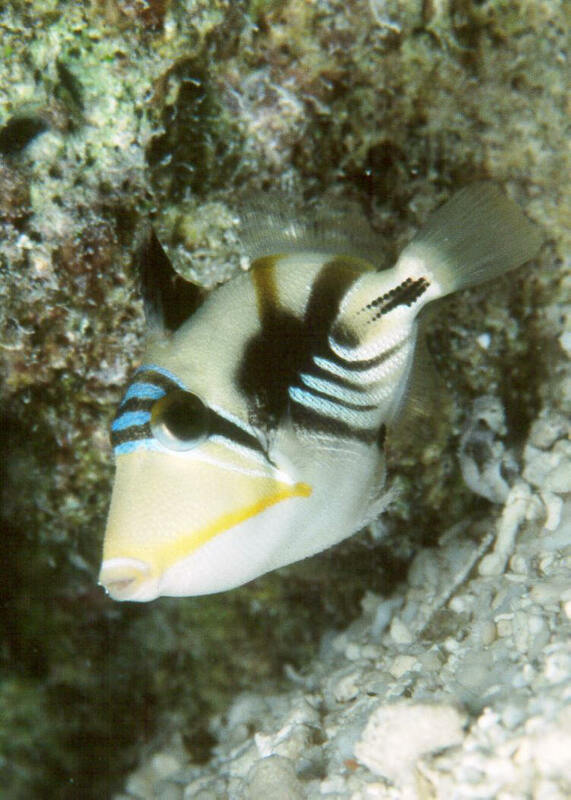 More rarely, and very similar to the Whitetail, you may find the Indo-Pacific Halfmoon or Whitetip Trigger, Sufflamen chrysopterus (Bloch & Schneider 1801). Note the discontinuous white border on the tail. Adult male in Mauritius 2017.